These words, of course, come from the beloved hymn, Amazing Grace. Most of us have heard its famous melody, either in church or in a funeral chapel. Or maybe your favorite version comes from Willie Nelson or The Three Tenors or Mahalia Jackson or Judy Collins or Aretha Franklin or Elvis. I once was lost but now I’m found; was blind, but now I see! You also may have heard the story behind the poem. It’s a story that will “preach” (as we preachers like to say), but it’s also a story that has captured the imagination of cinema and Broadway. 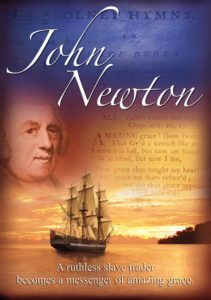 John Newton, as the story goes, was raised in England by a devout mother but in his youth he chose a life of drinking and brawling and then as crew on slaving ships between West Africa and England. Once, while carrying its horrific human cargo, Newton’s ship sank and his near death experience drove him to faith. He eventually became an Anglican priest and wrote the words of this poem for his New Year’s Day sermon in 1773. The powerful themes of repentance and redemption and grace remain as crucial to us now as they were to John Newton. America’s original sin of white supremacy and racism still haunts us, hinders us and holds us back from true greatness. Recently the city of New Orleans removed four of their confederate statues. Of course this was a hugely controversial decision, but Mayor Mitch Landrieu addressed the questions with a clarity and eloquence we haven’t heard for awhile. He told his own story of growing up in New Orleans and walking past these monuments a thousand times without even seeing them. It wasn’t until some Black friends helped him to see through their eyes that he even recognized the issue. Then he began to grow in his understanding of what needed to be done. I knew that taking down the monuments was going to be tough, but you elected me to do the right thing, not the easy thing and this is what that looks like. 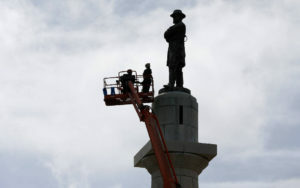 So relocating these Confederate monuments is not about taking something away from someone else. This is not about politics; this is not about blame or retaliation. This is not a naïve quest to solve all our problems at once. And then we begin to act. Make straight what has been crooked. Make right what has been wrong. Reconciliation and a better future. 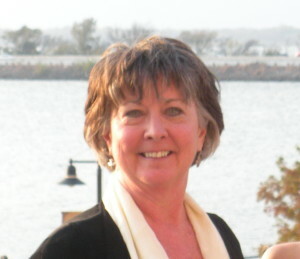 I have a dear friend who is blind and she is one of the most remarkable people I know. Her insights are deep and wide even as her sight is limited. I think in her physical darkness, a great vision of clarity and truth shine bright. I depend on her wisdom. Our English language gives us several metaphors to describe this human journey of coming to see, and usually the concept of sight carries with it connotations of light. Once we go through this process, we can’t not see what we have now come to recognize. Our reality shifts. Mitch Landrieu and John Newton and so many of us have made journeys from blindness toward sight. But that doesn’t mean it is quick or easy. It is journey. It is process. And we must be open to letting the light continue to expose our misunderstandings. If we hold on to our darkness with stubborn tenacity and refuse the light that is offered, then our darkness is dark indeed. Even as we make our journeys to greater vision, we all will still have our own blind spots; therefore we will need to remain humble as we continue to learn to see with growing clarity. But our society desperately needs more visionaries, people who can cast a vision for a better world. As we envision together, we can begin to act to build a world together where everyone is treated with dignity and respect. A world where everyone finds opportunities to work honestly and to raise their families in peace. A world where what has been crooked can be made straight again and what has been wrong can be made right. 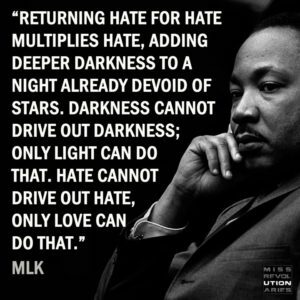 A world where love overcomes hate, goodness overpowers evil, and light can overwhelm the darkness.